During the Old West, many African-Americans distinguished themselves as brave and resourceful lawmen. 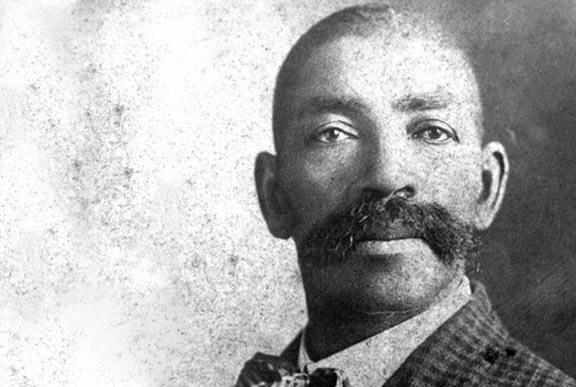 The most prominent was Bass Reeves, who rose from ex-slave to U.S. Marshall. Reeves taught himself to be fast with a revolver, which served him well over his thirty-two years of service during which he served 3,000 warrants. He killed fourteen outlaws (all of which, it is said, drew on him first) without once being wounded himself. But Reeves was more than a quick gun, he also used his keen detective skills and a series of disguises to capture criminals. When I was a child we never had any black lawmen to admire as heroes, so when i found out about Bass Reeves I was very impressed. My dad was a police officer in NYC and Bass Reeves reminded me of the type of honest, hard-working, self-sacrificing man my dad was.